Phoenix Garden Buildings is built on a strong heritage of carpentry to design and manufacture quality and affordable garden buildings. With a combined experience of more than 40 years, the Phoenix’s Management are committed to delivering the highest level of customer care as well as premium quality materials and outstanding levels of workmanship. Since 2012, we have completed hundreds of projects while delighting each customer with the quality of our products and service. Our process is simple, straightforward and entirely flexible. We’ll start with your vision, then our talented designers and sales partners will advise on possible solutions, building requirements, the best use of space, practical considerations and recommended treatments; before we agree the best way forward and finalise what we’re going to build for you. We pride ourselves on listening to and understanding the particular needs of every client, and we relish any challenges you may bring our way. Next, the expert carpenters in our Yorkshire workshop get to work. All our buildings are constructed to the same rigorous, precise standards using traditional joinery techniques. They’re built to last, secure, customisable – and they look stunning, from inside and out. When your building is finished, our after-sales care team take care of the whole delivery and installation process for you – so all you have to do is admire the result, and enjoy your great new garden space. We only ever use quality materials chosen for their longevity and low maintenance, but cost is important too. We take great care to only work with reliable, honest suppliers who trade their goods fairly and ethically. Our garden building prices vary depending on model, size and bespoke features; and we believe they offer excellent value for money. to create our inspiring garden buildings. The timber we use to manufacture every building comes from quality grades of slow-grown, close-grained Scandinavian redwoods; ethically sourced from sustainable forests. The wood has an outstanding reputation: its thickness combined with our carefully designed cladding profiles and build quality guarantees superior strength, durability and long-life protection against rot and decay. We offer an excellent choice in superior roof coverings from heavy duty polyester based roofing felt, decorative felt shingles, long life Onduline roofing sheets, Onduvilla roof tiles and synthetic slate tiles. 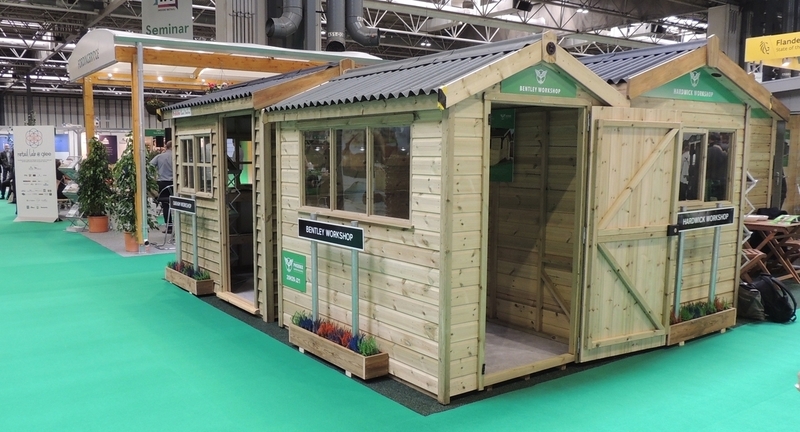 From a basic building to a fully lined and insulated garden room, we offer a large selection of options and extras on all buildings. Contact one of our sales partners and view the buildings on display to begin to imagine the variety of options available. Our professional and experienced fitters will install your building onto your prepared base providing there is suitable un restricted access. The sections on our buildings are large and heavy so to ensure a safe and efficient installation our fitters will require, suitable close by parking, suitable access without any height restrictions, tight bends or corners that will accept the longest section. A suitable flat, even & level solid base that is no smaller than the building ordered. Due to our roof design, there must be a minimum of 6’’ clearance all round before any obstruction, this may need to increase depending on the model ordered. We will not lift any panel over Garages, walls or fencing over 2ft tall. All sections over 10ft in length will be split for transport and ease of access. If you have any access issues or the only access is through a property, we can manufacture the building in smaller sections but we must be advised at the point of order.